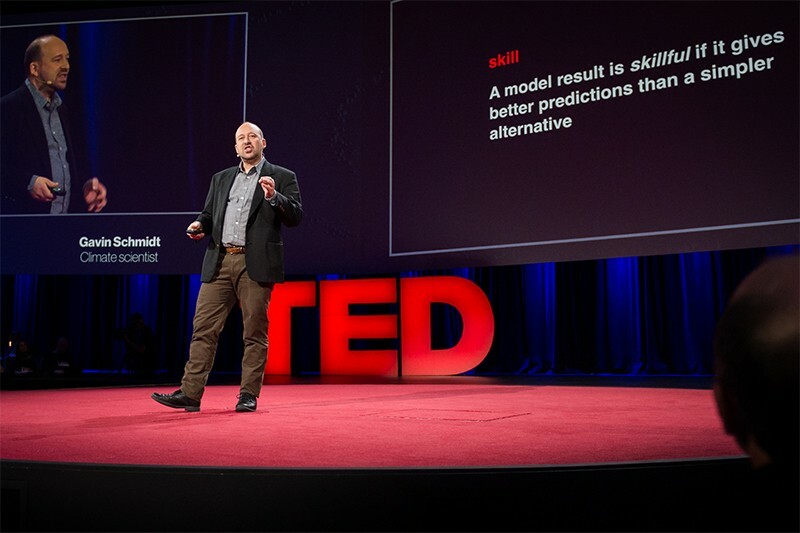 Three researchers share lessons they’ve learnt from presenting at TED conferences. Virginia Gewin is a freelance writer in Portland, Oregon. TED talks offer researchers a chance to reach much larger audiences than those they might encounter at a routine lab meeting or symposium presentation, thanks to their availability online at www.ted.com. The flagship TED conference is held each year in Vancouver, Canada, and affiliated events such as TEDWomen or TEDGlobal — as well as independent satellite events, known as TEDx — offer further opportunities for scientists worldwide to step onto the stage. Popular talks are often viewed millions of times — a level of exposure that can bring notoriety, both good and bad. Nature spoke to several scientists-turned-TED presenters for insights into how their talks have influenced their presentation style, and how researchers can maximize the value of such exposure. Malaria immunologist at the Kenya Medical Research Institute–Wellcome Trust Research Programme in Kilifi. TED fellows receive access to a mentor for one year, or roughly 12 mentoring sessions. Beyond that, they become part of a community of fellows from many disciplines, who share information ranging from how to negotiate speaking fees to how investors and entrepreneurs work. I’m a scientist who is used to bone-dry meetings. The scale of the 2018 TED conference in Vancouver blew my mind — there were musicians, artists, historians, engineers and even a technologist flying drones. 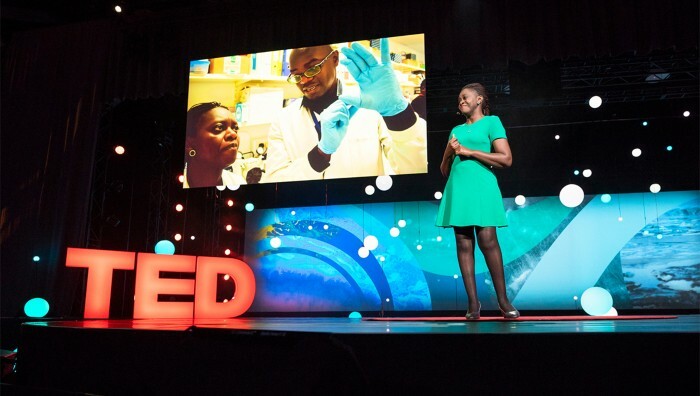 Putting together my TED talk made me realize that I’m a researcher who is working on new vaccines to prevent malaria — a disease that is killing people — and that it’s a big idea that I’m passionate about. It’s good to get out of your own mole-hole and allow your mind to think big. One of the biggest challenges I had to face was that TED talks are very ‘American’. The format comes across to me as showing off. It was outside my comfort zone to blow my own horn, or to showcase how great I am. I did want to be on the platform, but I had to overcome a lot of internal discomfort to do so. During the preparation, the TED team helped me to remove the jargon from my talk and to break down the content of each slide so that a broad audience could understand it. For example, in my original slide deck, I used a picture of an older African man to convey that 50 years ago, researchers took malaria antibodies from older people who had survived malaria and then injected them into younger people. But it proved too distracting to focus on why these older vaccines don’t work well enough. It got in the way of the main point of my five-minute talk: how we are using new technologies to identify the proteins involved in a successful immune response to malaria to make a better vaccine. You have to offer enough detail without getting too much into the nitty-gritty. My TED talk gave me a sense of validation, not to mention more visibility than I could otherwise have had. I’ve found that showing my talk is a powerful way of introducing myself at speaking events. I also get invited to speak at more events than I used to. This year, for example, I’ve been invited to speak at the Bill & Melinda Gates Foundation Grand Challenges annual meeting in Addis Ababa; the Annual International Biomedical Students meeting, which is the largest conference for medical students in Europe; and the Godrej Leadership Forum in Mumbai, India. I went into my TED talk hoping that I would encounter a funder who could pump a lot of cash into my research. That hasn’t happened yet, but there is a slow-burn effect. It’s been exciting to watch the number of views rise to 1.3 million. Quantum physicist at Wilfrid Laurier University in Waterloo, Canada. So far, I have given six TED talks. My first was at TEDxWaterlooWomen in Canada, in 2012. During that experience, I learned about the TED Fellows Program. The application process was refreshingly non-academic: they weren’t interested in your CV, only in how you wanted to make an impact on the world. That appealed to me. In 2014, I became a TED fellow and gave my first talk at the main TED conference in Vancouver, discussing the connections between quantum theory and chaos theory — and highlighting an article I had published in Nature (S. Chaudhury et al. Nature 461, 768–771; 2009) that had garnered a lot of press attention. I work hard to find the balance in my talks, so that I have enough detail to match accuracy with clarity. Scientists tend to put in all the details, but it’s more about the storytelling. Before I became a TED fellow, I had founded the Centre for Women in Science at Wilfrid Laurier University in Waterloo. I was exploring not just my own research in physics, but also how scientists can build the best, most inclusive physics community. Because I was already following a slightly atypical path in academia, the TED Fellows Program was a good fit. Last year, I gave a ten-minute talk at the TEDWomen conference in Palm Springs, California, that explained quantum computing. The TED experience has broadened my career track. It’s incredibly energizing and inspiring that people in the fellows’ network are always there to support each other. Since joining the programme, I’ve worked with artists and musicians. With Tharanga Goonetilleke, a TED fellow and opera singer from Sri Lanka, I developed an art–science–music project featuring women scientists from around the world. I’ve become more courageous — and amplified my voice — by being part of the TED Fellows Program. As my media profile expands, I get more invitations to speak, and not all of them are limited to the academic world. I’ve done episodes of the popular science programmes BBC Horizon and PBS Nova; both have huge viewerships. I’m also publishing a book about some of my work. However, the TED spotlight also comes with consequences. The majority of my colleagues have been very supportive. But there is a more conservative group in academia who feel that TED might dilute — some call it ‘dumbing down’ — the science, and that this watered-down version is harmful to science. Then, there are the trolls, who are eager to criticize women who communicate science. As a woman, if I talk confidently, I come across as being arrogant. Throughout my career, I’ve had some frightening experiences, even threats of physical harm, that in some cases required police escorts. Because of those experiences, I craft my talks to avoid being too controversial. For example, I’ll joke that I have the power of invisibility, as a humorous way of expressing how women often aren’t seen. Although giving TED talks has been a huge net positive, that is only because I chose to prioritize it in my life and career. Being engaged with the public doesn’t come for free in terms of time. One fewer TED talk would allow me to publish extra research or to go to other conferences. I don’t think that it’s for everybody. It has to match your career goals. Climate scientist at the NASA Goddard Institute for Space Studies in New York City. It pays to invest in putting together a high-quality presentation. I spent three months collating my talk on the emergent patterns of climate change for the main TED conference in 2014. At the beginning of the process, I was casting about for an appropriate metaphor, and the jigsaw puzzle presented itself as a visual way of representing the million lines of code that piece together all the variables that must be modelled to achieve a realistic, dynamic picture of the global climate. Everything in a TED talk has to be created from scratch, so I had to make my own jigsaw pieces. Once I had that metaphor, I had the advantage of being able to tap into some great NASA images. For the past five years, I’ve benefited enormously from that three-month investment in my graphics. The TED team encouraged me to go more deeply into things that I would normally have thought too complex for a general audience. Basically, you can make one point in your talk, and you can go deep into the details, as long as you take the audience with you and build up to your main point. Each slide should push that point further rather than go off on an ancillary detail. It goes back to some basic communication skills: know your audience and know what you want to say. Overall, my presentations are now much less cluttered, and they have more impact than they used to (see ‘A talk with impact’). My talks are graphics-heavy and I use the imagery to convey a narrative. Being able to point people who have contacted me with questions to the TED talk also saves me an enormous amount of time. “Recognize the big idea that you are working on and present it with energy and enthusiasm.” Faith Osier, KEMRI–Wellcome Trust Research Programme, Kilifi. “Craft a story that balances clarity and accuracy.” Shohini Ghose, Wilfrid Laurier University, Waterloo, Canada. “Say one thing — your big point — cleanly. Articulate that main point while putting it into a context that will make it interesting to anyone.” Gavin Schmidt, NASA Goddard Institute for Space Studies, New York City. Communicating high-profile, controversial science is a bit of a gamble. If you have something genuine to share, it can push you and your science forwards. But if the science is subsequently not held up, it can pull you down — and that might hold you back or serve as a millstone around your neck for years. It’s a bit of a two-edged sword. It’s gone badly for only a handful of scientists, but it’s good to remember that TED talks are a high-impact opportunity. It pays to be careful, because your talk can come to define you.